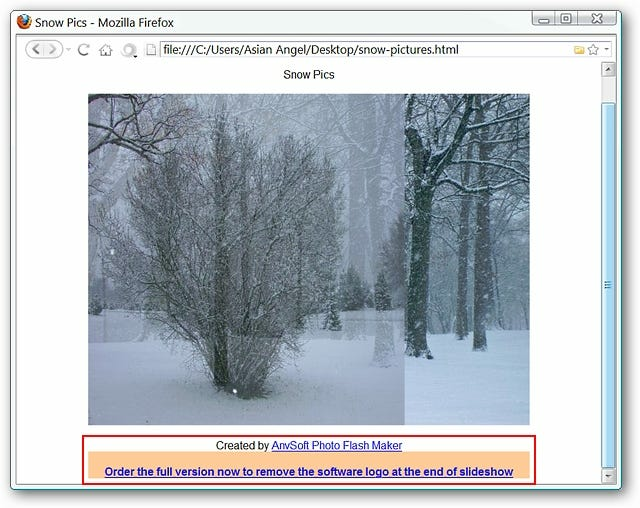 Looking for a quick and easy way to convert your photos into a flash slideshow for your website? 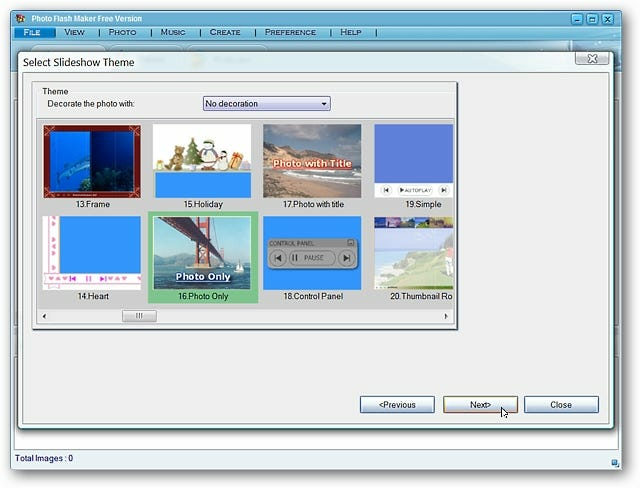 Now you can with Photo Flash Maker Free. 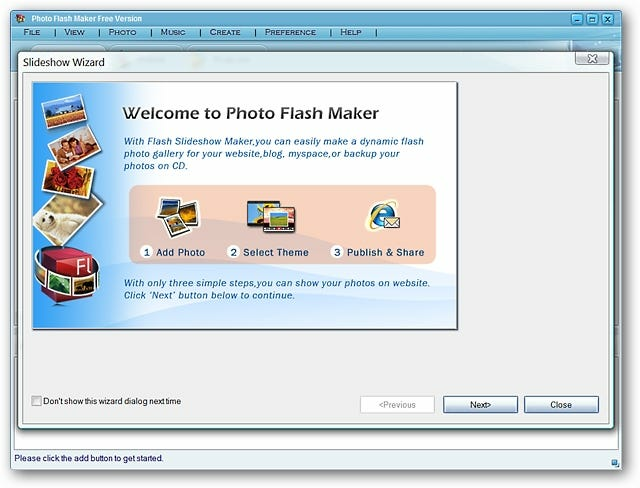 Installation for Photo Flash Maker Free is extremely quick with only three install windows (and no EULA) to sort through. 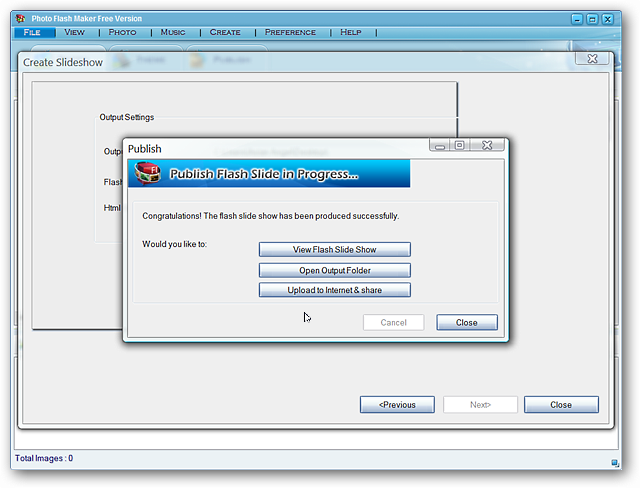 When you start the program you will see the “Main & Slideshow Wizard Windows”. 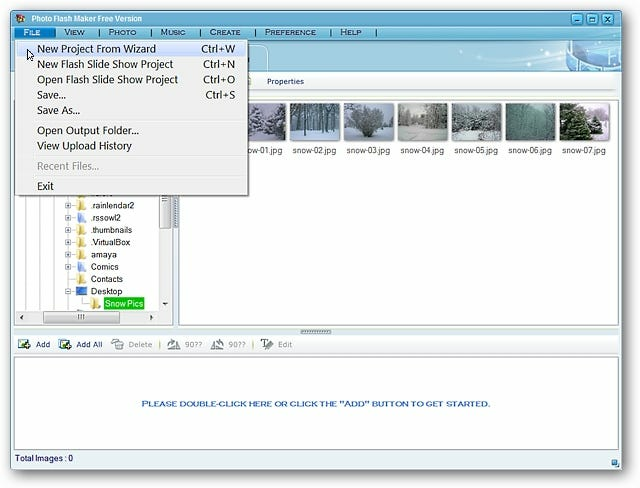 Notice that you can easily disable the “Slideshow Wizard” (lower left corner) so that it does not appear each time you start the program. 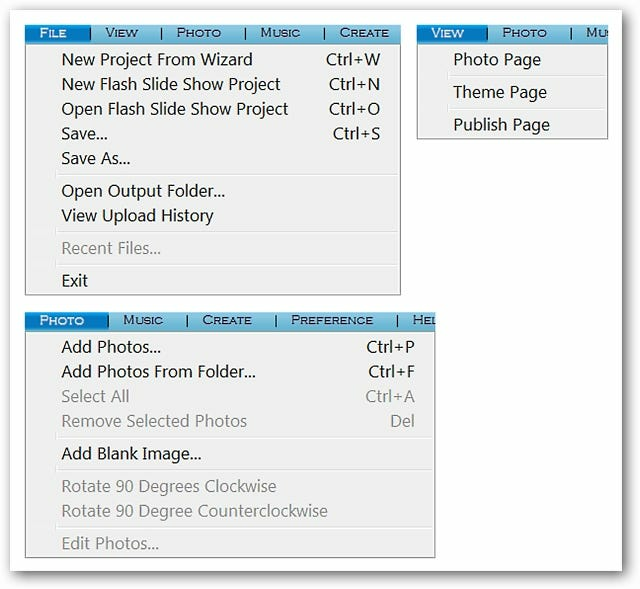 This is what the “Main Window” looks like once you close the “Slideshow Wizard”. 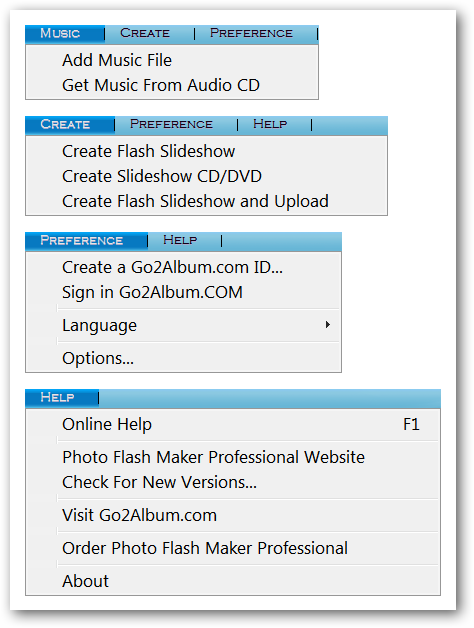 There are two ways to start creating your new flash slideshows…using the visible three step toolbar or by using the wizard. 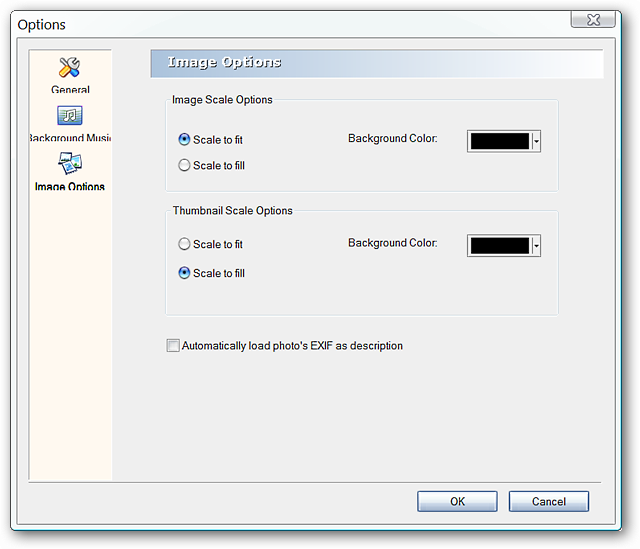 Using the three step toolbar will allow you to choose the “between photo” effects to suit your personal style. For our example we chose to use the wizard. 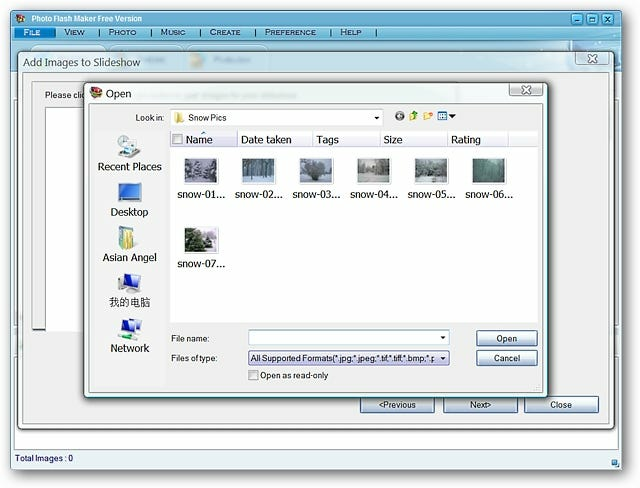 You will be presented with the “Add Images to Slideshow Window” and can browse for the photos that you would like to use. 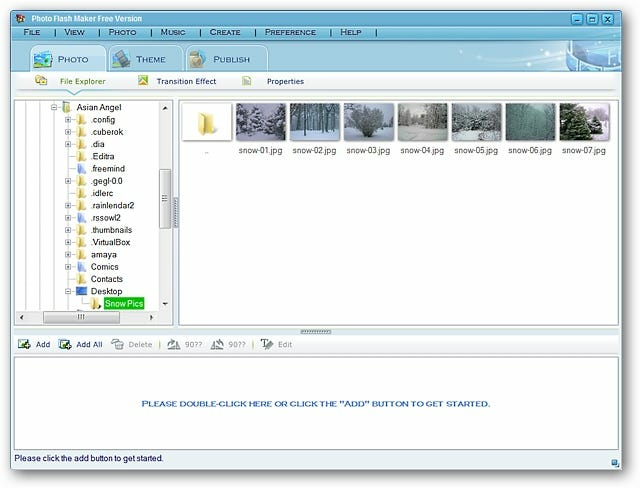 Once you have selected the photos that you would like to use click “Next”. 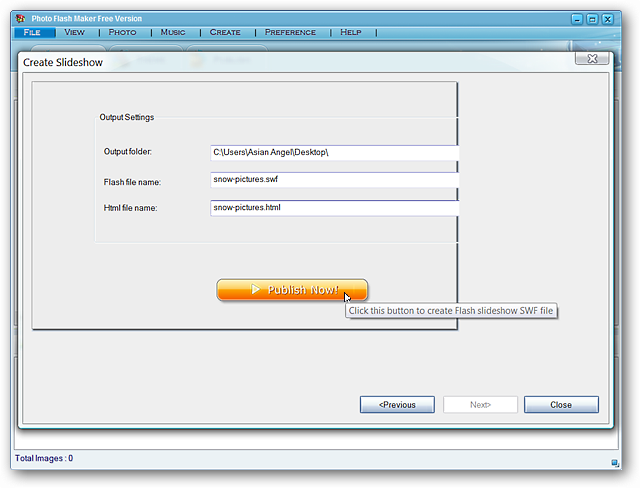 The final part is to choose the names that you would like to use for the “swf & html files”. 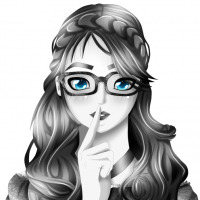 Once that is finished click the “Publish Now! Button”. 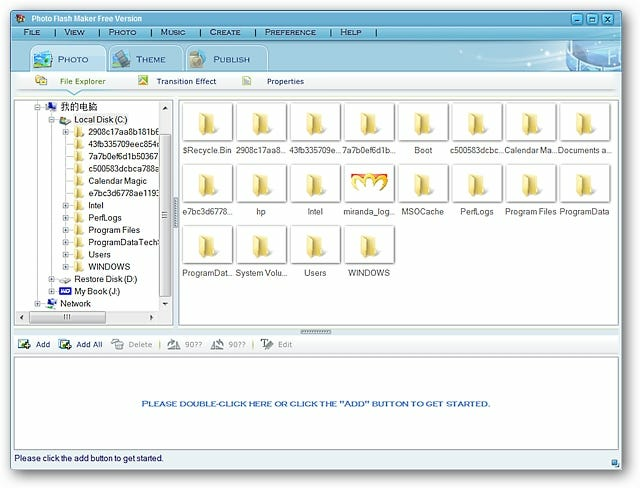 At this point you can choose to immediately view your files or wait until you have closed the wizard and then view them. 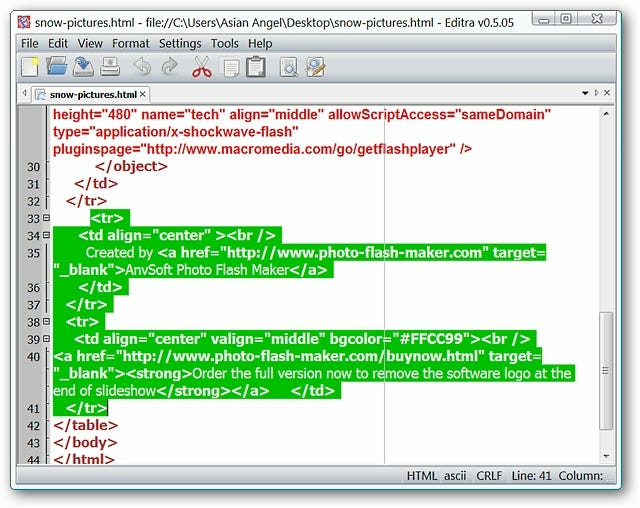 Followed by the html file with the flash file embedded. Notice the “advertisement-type listing” at the bottom…this is extremely easy to remove by editing the html file in Notepad (or your favorite text editor). 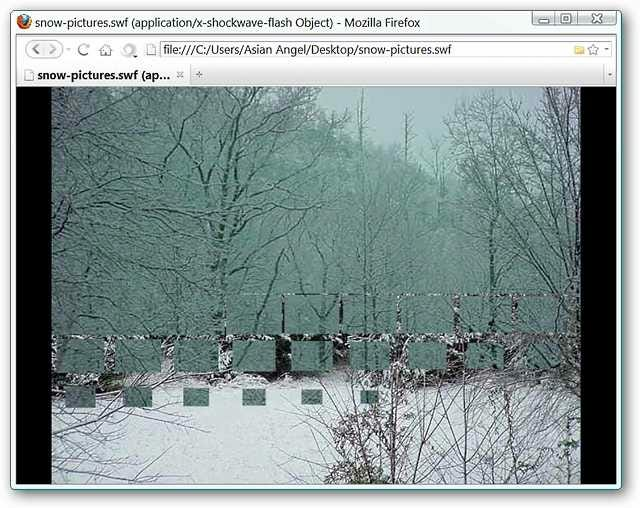 See screenshot below for the exact text to remove. 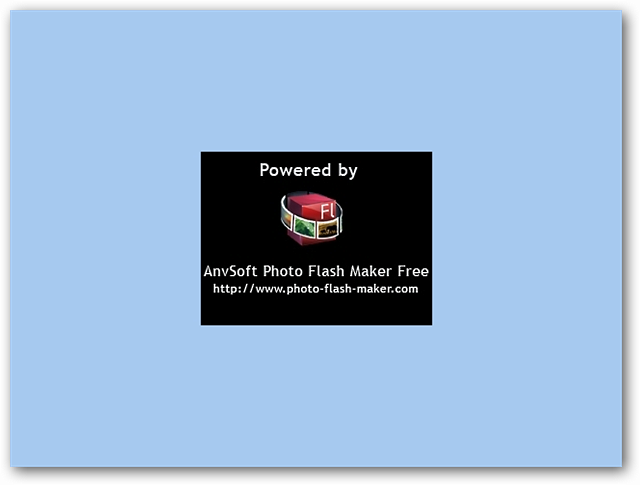 The only drawback to using Photo Flash Maker Free is the momentary banner at the end of the slideshow…but it is a very small price to pay for such a nice file. And the “Music, Create, Preference, & Help Menus”. 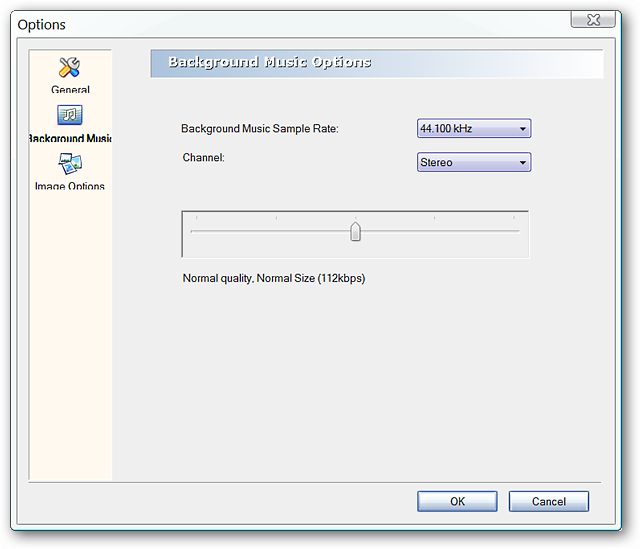 Select the settings that best suit your needs for background music (if you are adding any to your files). Make any background color and scale adjustments that you desire. 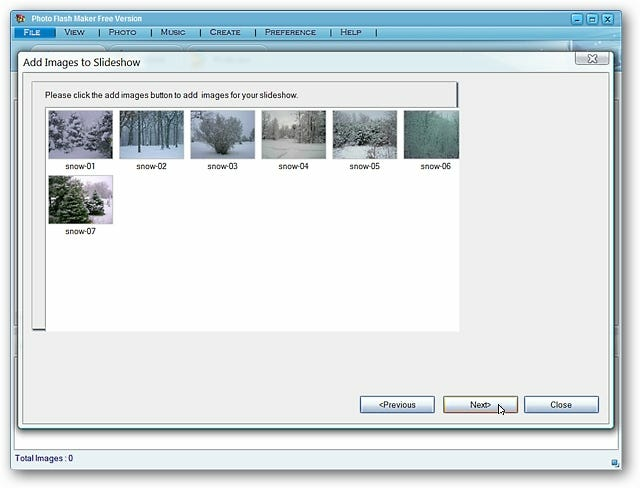 If you have been looking for a way to add some photo fun to your website, then Photo Flash Maker is definitely worth taking a look at. 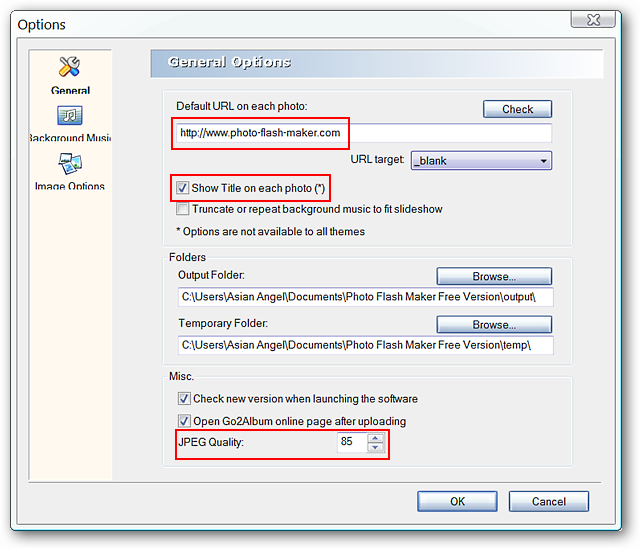 Download Photo Flash Maker Free (version 5.58) via Download.com, be careful not to accept bundled software offers.